The 26th of September 1987 will remain collectively etched in the minds of Eelam Tamils as the day of reckoning for them when they realized, agonisingly, that non- violence didn’t stand a chance in their quest to liberate their homeland: It had already been established that non-violence had no chance 26 years before that on the 17th of April 1961 and ever since that day, when a peaceful civil- disobedience campaign, organised to protest a highly discriminatory law enacted against Eelam Tamils, was crushed, using excessive force in a vicious display of abuse of power. The 26th of September 1987, was the day, Thileepan, the political head of the LTTE for the Jaffna district breathed his last, making the ultimate sacrifice for what he believed was a cause far bigger than his life. 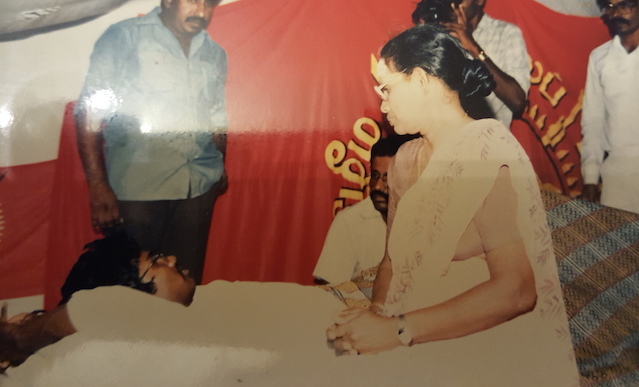 Thileepan had undertaken a fast-unto-death, calling on India to fulfill its pledge based on a “gentleman’s agreement” towards “setting up an interim government” on an understanding reached earlier, between the leader of the Liberation Tigers of Tamil Eelam (LTTE), Velupillai Pirapaharan and the Indian Prime Minister, Rajiv Gandhi. The promise was given verbally, on trust, on the latter’s prompting, that took place at the Prime Minister residence, one that he promised to keep. It was given on the understanding LTTE would cooperate with the Indo-Sri Lanka Accord and would lay down its arms. The story of Thileepan is inspiring as well as heart-rending, gut-wrenching as well soul-stirring – it’s the story of a Tamil Freedom Fighter, who died a martyr, not by fighting as an armed combatant but by embracing non-violence – all for the noble cause of the freedom of Tamil Eelam – it’s about a young man who fought a courageous fight to move if not spur both the Indian and Sri Lankan governments into action. A story that stands as a grim reminder and a clear illustration that non-violence didn’t stand a chance in seeking basic demands for Tamils – those demands that were tied to their legitimate rights and aspirations. Thileepan had made five demands and died without his demands being met. Thileepan laid down his weapon, embraced non-violence and began his fast on 15, September, 1987, denying himself food and water, waiting in vain for some reassurance from Indian officials, namely J. N Dixit Indian High Commissioner to Sri Lanka and died on 26, September, 1987. Neither did Mr. Dixit visit Thileepan nor were any assurances given on the “interim government” that was promised. The Sri Lankan government should stop opening new Police stations and camps in the NorthEastern province. The Sri Lankan Army and Police should withdraw from schools in Tamil villages and the weapons given by the Sri Lankan government to ‘home guards’ should be withdrawn under the supervision of the Indian army. 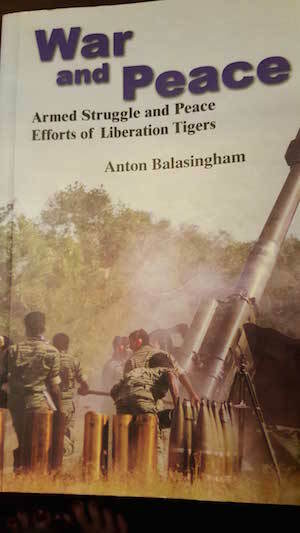 Anton Balasingam describes in his book ‘War and Peace’ LTTE’s disappointment in Delhi’s failure to “setup the promised interim administrative authority” despite them having laid down their arms as a “gesture of cooperation” and handed over the “tremendous responsibility” of protecting the Tamil people to India. Not only that, what happened after the Accord was signed on 29th July 1987, was entirely unexpected and did most certainly infuriate and frustrate the LTTE leadership. “There were no initiatives from the government of India. In the mean time the Sri Lanka government opened up new police stations in the NorthEast consolidating the state’s law and order machinery in the Tamil homeland. The Sinhala colonisation schemes intensified with the backing of the government. The funds assured by the Indian Prime Minister for the administration of the LTTE structures were discontinued after one month’s instalment. The issue that deeply disturbed the LTTE leadership was the arrival in Tamil Eelam from India of a large number of armed cadres from the EPRLF, PLOTE and TELO. They were freshly trained and armed by RAW. While clandestine boat landings of EPRLF and PLOTE members took place on the East coast at night TELO cadres occupied some coastal villages in Mannar. The penetration of these armed groups hostile to the LTTE posed a serious threat to the security of the Tamil Tigers. There were attacks in which the LTTE suffered casualties. The IPKF refused to take action when the matter was brought to their attention. As time passed in a political vacuum Pirapaharan became agitated and frustrated. The irony of all ironies here is that ‘non-violence’, or ‘Ahimsa’ the weapon used by India to liberate itself from a colonial power had neither any impact, nor value, nor did it make a difference, let alone prick the conscience of men for whom it should have meant something – unlike a woman from a neighbouring country, Sri Lanka for whom it understandably failed to impress for it may have not meant anything. It took Thileepan’s death for Mr. Dixit to persuade Jayawardane to “institute an Interim Administrative Authority” and there was agreement on powers, functions and composition; but there was serious disagreement on the choice of Chief Administrator. However the, “arrests of two senior LTTE commanders Pulendiran and Kumarappa and fifteen high ranking cadres by the Sri Lankan Navy and their mass suicide in custody at the Palaly Air-Base was a tragedy of immense consequences.” Although Mr. Dixit at first was confident he could secure the release of the LTTE commanders and cadres he failed because, “Mr. 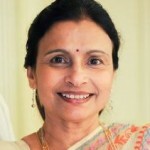 Athulathmuthali, Sri Lanka’s Minister of National Security was firm in his demand that the LTTE cadres should be taken to Colombo for interrogation,” and the IPKF also refused to intervene, despite the, “arrests being a violation of the Accord as all cadres were given a general amnesty after the LTTE had laid down its arms,” Anton Balasingam writes. Writing this article has affected me emotionally, as most of my articles do. It led me to re- read three books that I consider essential reading to understand the Tamil Freedom Struggle. Under my article I have included selected extracts to whet people’s appetite and recommend they read them. I am also pleased to inform everyone that a film on Thileepan directed by Anand Murthy @AanMur: ‘The Life and Death of a Martyr’ is in the making, hope you would support it. “Thileepan who has travelled to Delhi as a part of Mr. Pirapaharan’s delegation before the signing of the accord was informed of the content of the dialogue that had taken place between the Indian Prime Minister and the LTTE leader. With the knowledge that there was an unwritten agreement between Rajiv Gandhi and Pirapaharan that had not been implemented, he felt that his people and the struggle had been betrayed ad decided on a fast-unto- death, demanding the fulfillment of the pledges. When news of Thileepan’ fast-unto-death and deteriorating political situation between the LTTE and the IPKF reached us we decided to leave India for Jaffna..
Bala met Thileepan during the pre-accord talks when he shared a hotel room with him in Delhi and grew very fond of this affable fellow. It was an extremely painful and emotional experience for Bala to meet him again Jaffna in totally adverse conditions, with Thileepan’s life slowly ebbing away. ..
As we entered the premises of the Nallur Kandasamy Temple, we were confronted by a sea of people, seated on the white sands under the blazing sun. The air was thick with collective emotion and solemnity. This fading young man on the platform, obviously embodied the political sentiments and aspirations of his people. But it was more than that also. Thileepan’s fast had touched the spirit of the Tamil Nation and mobilized the popular masses in unprecedented solidarity. One could sense how this extraordinary sacrifice of a fragile young man had suddenly assumed a formidable force as the collective strength of his people. Thileepen’s fast was a supreme act of transcendence of individuality for a collective cause. Literally it was an act of self – crucifixion, a noble act by which this brave young man condemned himself so that others could live in freedom and dignity. With deep humility, Bala and I mounted the platform to speak to the reposed Thileepan, already several days without food or water and with a dry cracked mouth, Thileepan could only whisper. Bala leaned closer to the weakened Thileepan and exchanged words with him. Naturally enough Thileepan inquired of the political developments. We left soon afterwards never to see him alive again. As Thileepan’s fast moved on in days, he was no longer to able to address the public from the podium and spent much of his time lying quietly as his condition steadily deteriorated. As Thileepan grew visibly weaker in front of his people’s eyes, their anger and resentment towards India and the IPKF grew stronger. 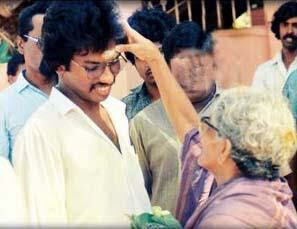 The sight of this popular young man being allowed to die in such an agonising manner, generated disbelief at the depth of callousness of the Indian government and the Indian Peace Keeping Force..
All that was required to safe Thileepan’s waning life was for the Indian High Commissioner Mr. Dixit to humble himself and meet and reassure Thileepan that the Indian government would fulfill its pledges to the Tamils. In fact Delhi ignored Thileepan’s fast as an isolated idiosyncrasy of an individual, and later became seriously concerned when the episode gathered momentum and turned into a national uprising with anti-Indian sentiments. Delhi’s concern’s compelled Mr. Dixit to pay a visit Jaffna to study the situation..on the 22nd of September, Mr. Dixit arrived at the Palaly airport where Mr. Pirapaharan and Bala met him. Bala told me later that Mr. Dixit was rude and resentful and condemned Thileepan’s fasting campaign as a provocative act by the LTE aimed at instigating the Tamil masses against Indian government. Small candle lit shrines housing Thileepan’s picture was set up in front of every house in the village (Valvettiturai) as they were throughout the Peninsula. Plaited dry coconut leaves, the traditional Tamil decoration indicating mourning strung from post to pos, fringed roadsides; funeral music blared from the loudspeakers of temples and schools. Thileepan’s ravaged body was dressed in full military uniform draped in the insignia of the LTTE. The garland bedecked funeral cortege had moved slowly from village to village though out the Peninsula to pay their profound respect to this legendry martyr. The sombre beat of the military drums heralded the movement of the cortege from its resting place through the village to its next destination. As Thileepan’s open cortege crept through the main village road for the last time I stood silently with the crowd to pay my final salute to a young man whose fast and sacrifice had surpassed that of the Guru of Satyagraha, Mahatma Gandhi himself. Thileepan transcended Gandhi in his act of self denial by refusing not only food but fluids also. On July 23 two Indian military helicopters landed on the grounds of Suthumalai Amman Temple near Jaffna, picked up the LTTE delegation comprising of Pirapaharan, Yogaratnam Yogi and Thileepan and flew to Meenambakam Airport. In the mean time the Tamil Nadu Police informed me of their arrival and I was taken to the airport to meet them… We boarded an Indian Air Force plane and arrived in the Indian capital a few hours later. From the airport we were taken to Ashoka Hotel and held incommunicado… The Raw officer informed us we were place under safe custody and we could not leave the Hotel or allow anybody in. Pirapaharan confided to me: “Bala anna I am trapped again. I translated the document and explained the implications of the proposals. We found the proposals limited and inadequate. While emphasizing a pluralist structure of Sri Lanka society, the agreement recognises the distinct ‘cultural and linguistic ‘ identity of the various ethnic groups thereby rejecting the conceptualisation of nation and nationality. While Sri Lanka ensuring Sri Lanka’s unity, sovereignty and territorial integrity ‘ the agreement recommends a solution within the unitary constitution. The only positive element in the proposals was the recognition of the northern and eastern provinces as areas of historical habitation of the Sri Lankan Tamil speaking peoples..’ The cardinal feature of the Agreement of the merger of the northern and Eastern Provinces into a single administrative unit. But the merger itself was interim to be subjected to a referendum to allow the ethnic communities in the east to decide over a permanent link with the north. The Agreement allows for the formation of a temporary north east provincial council with governor, chief minister and board of ministers. The powers and functions of the provincial council was not specified. Rather a set of proposals negotiated between 4May 1986 and 19, December 1986 between the governments of Sri Lanka and India and the TULF leaders were recommended as the basis for the settlement. Residual matter not finalised during these above negotiations shall be resolved between India and Sri Lanka within a period of 6 weeks of signing the agreement. It should be noted that these proposals called the December 19th framework were criticised and rejected by the LTTE in the written response submitted to the government of India in January 1987. The agreement therefore fails to deal with any core issues critical to the Tamil question. The most important aspect was the issue on decommissioning. The Agreement stipulated all Tamil militant organisations should be disarmed within 72 hours of the signing of the Accord. 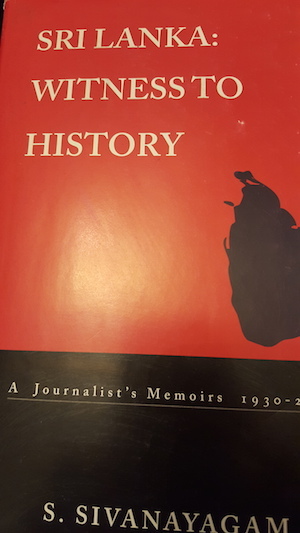 ..Pirapaharan’s face turned red when I translated this particular clause .. within the time frame of two hours allocated to us, Pirapaharan made a firm resolute decision, He resolved not to accept the Indo-Lanka accord under any circumstance. Two hours later, Mr. Dixit returned. He inquired as to whether we had made our decision. We told him that we could not accept the Agreement. We told him in precise terms we could not accept the Agreement. He demanded an explanation. I point out the limitations on the proposals, arguing that they fell far short of Tamil aspirations. The framework proposed in the Agreement was totally unacceptable to the LTTE I said. 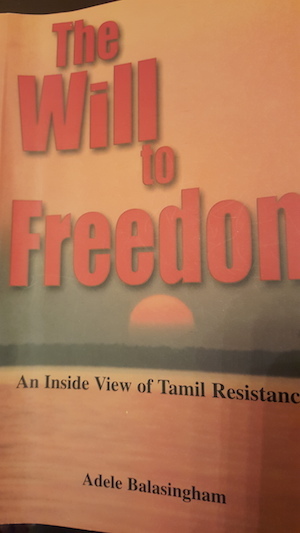 Pirapaharan argued that it was unfair and unreasonable to disarm the Tamil freedom movement before reaching a permanent political solution with guaranteed security to our people. “How can India ask us to give up our arms within 72 hours? These weapons were captured from the enemy forces with enormous sacrifices over the last fifteen years of bloody armed struggle,” he said raising his voice in anger. Mr. Dixit dismissed our criticism and argued the provincial framework the best the Tamils could ever hope for. He said there was no need for weapons since as a permanent ceasefire would come into being and an Indian peace keeping force would maintain peace. He pleaded with us to trust the Indian government and reconsider our decision. We stuck to our position to arguing that we could not trust Jayewardene and the Sinhala armed forces. Dixit became resentful and impatient. Whether you accept it or not this agreement will be signed. This is bilateral agreement between two countries. You will face far reaching consequences if you oppose it. “Can you tell us what sort of consequences we’ll have to face,” asked Yoga. You will be in our custody here in India until you accept the Accord. Even if you keep us in custody for a long time, even for years, we will never accept this Agreement and hand over our weapons, Pirapaharan replied angrily. He stared and Pirapaharan and shouted if you refuse to lay down your weapons, we would seize them by force. Your fighters are non-entities in front of the mighty Indian army. Brandishing his pipe at Pirapaharan he went on, “in the time it takes to light this pipe and finish smoking it, the Indian army will wipe out your fighters. Pirapaharan smiled cynically. You can do whatever you like but we’ll never accept this Agreement under any circumstances. Dixit was enraged; his lips trembled in anger. Mr. Pirapaharan you have cheated India four times. “That means I have saved my people 4 times. Unable to tolerate anymore the ill-tempered diplomat gottup and walked away. On January 1, 1961 Sinhala became the sole official language of the country under the terms of the Official Language Act.. On January 22, the Federal Party at its convention called on the population of the North and East to picket government offices, refusing to cooperate with officials conducting business and to resist the teaching of Sinhala in schools in the two provinces.. On February 20 began the 2nd phase of the non-violent agitation, which was soon to encompass the entire population the north and east, including Muslims. 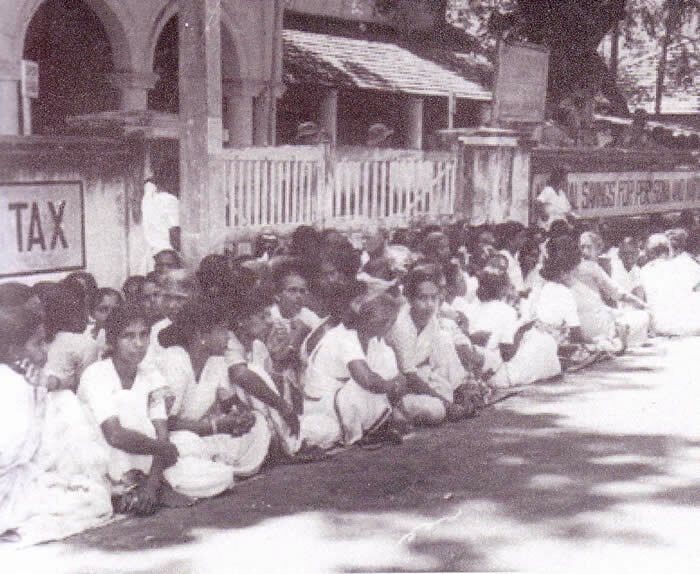 The satyagraha proper was limited to approved volunteers of the party only..who were strictly forbidden from any form of violence…on the morning of the 20th at 7.30 am, when Chelvanayagam along with 200 volunteers sat opposite all the entrances to the Jaffna Kachcheri (provincial secretariat) a huge crowd gathered filling up all adjoining streets, the pavements and all approaches to the area. in order to clear the path for the government agent to enter the premises, the police trampled on the satyagrahis with their boots, pulled them by their hands and , lifted some of them and hurled them away and attacking them with their batons…crowds outside enraged by police violence hurled stones at the police jeeps and trucks. The police then used tear gas, the dispersed crowd which fell back, kept surging forward again..Among scores of volunteers injured were five MPs. The police baton used on Dr EMV Naganathan had broken and he held up the broken piece. On the 2nd day the satygraha was led by Mr. Amirthalingam..On the 4th day, the 23rd women plunged into the movement. Out of the 500 …led by MP for Chavekachcheri V.N Navaratnam about 80 women led by the party’s women’s front led by Rajapoopathy Arunachalam took up positions in the main entrance..the sole Tamil Congress MP, M Sivasithamparam , several LSSP activists, Mayor of Jaffna decided to throw their weight with the movement…On the 24th campaign spread to Mullaitivu. Mannar and Eastern Province…on the 28th picketing was launched in Batticaloa.. the Muslim MP for Kalmunai MC Ahmed Batticaloa..and thousands of Muslims led by the 2nd MP from Batticaloa, Macan Markar participated….In Trincomalee Mutur MP, T A Ehamparam was seriously injured in a police baton charge when he and Trincomalee MY Rajavarothayam was involved in picketing…in their anxiety to help N Q Dias reach the Secretariat premises police personnel carried him high in an undignified position…stumbled against some satyagrahis and dropped him heavily on the inner side of the lower parapet wall! Days later there was an untruthful reference to this from ..Mrs Bandaranaike, she made a broadcast appeal to the Federal Party to call off the civil disobedience campaign while accusing the party of violence. “From March 11 the government launched a policy of trying starve the population by refusing to issue permits to wholesalers except through the secretariat (Kachcheri). Returning to the island on March 23 after an absence of 18 days Mrs. Bandaranaike accused the Federal Party of trying to establish a separate state by paralyzing the administration in the two provinces and warned that the government might use other means to restore order. ..On the 14 th April civil disobedience took the form of open defiance of the law..In a symbolic gesture the party inaugurated its own postal service..2500 stamps were issued, 25,000 stamped envelopes and 3000 post cards were reported to have been sold …passengers refused to purchase tickets in national buses and it was also rumoured the party was planning to form its own police force and take over crown land for distribution to landless peasants! On the morning of 17 April the cabinet met at Temple Trees ..and the decision was taken to impose a State of Emergency. In the evening Felix Dias Bandaranaike, the power behind the throne, held a series of conferences with army, navy and police chiefs. The Governor General Sir Oliver Gunetilleke proclaimed the State of Emergency and assumed power to maintain services. A Press censorship was imposed. The Federal Party was proscribed. All public meetings in the North and East were forbidden. Detention orders were issued on FP leader, Chelvanayagam and 14 other MPs. 350 soldiers and 15 officers of the Sinha Regiment exclusively composed of Sinhalese ..arrived in the early hours of the morning around 2.30 am and the troops were immediately moved into the sprawling secretarial grounds. About 200 satyagrahis, 90 of them women..unaware of developments, tired after the day’s fasting and prayers were yet squatting or stretched out at the Kachcheri entrances, some were in deep slumber..while during the day there were 1000s of supporters there were hardly any supporters at that ungodly hour. Some police officers emerged and told A Amirthalingam and V Dharmalingam that the two MPs were being taken into custody under emergency regulations. ..once the MPs were taken away the army men some of them carrying rifles, swooped on the passive satyagrahis, attacking them with rifle butts, belts and clubs..the sleeping volunteers woke up writhing in pain. They were trampled with boots kicked and dragged away from the Kachcheri entrances. Proctor S Nadarajah, one of the joint secretaries of the party sustained head and shoulder injuries. The Tamil Congress MP M Sivasithamparam, who, fearing assault on the women, stood with his arms outstretched was himself attacked. He sustained injuries on his face, shoulders and arms. The soldiers then went berserk and attacked everything on sight. They pulled down the party’s post office structure, smashed up cars and bicycles parked in the vicinity, ripping tyres with bayonets and ramming windscreens. 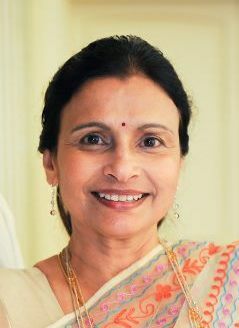 “By April 24, Chelvanayagam and 58 others, including 14 MPs were under arrest ..although Mr. Sivasithamparam was spared. ..
Jaffna came under virtual army occupation. Communication links with the rest of the island (and with the rest of the outside world) were cut off. Postal, Telegraphic, Telephonic and train and bus services were suspended. With Military trucks and jeeps plying constantly and at high speed, towns and streets were deserted. Undisciplined, trigger-happy soldiers shot dead and injured persons outside curfew hours on the pretence of enforcing the curfew. Shops were robbed of soft drinks cigarettes and eatables. Meek requests for payment was met with amused taunts, “get the money from Chelvanayagam. Soldiers made fun of passing cyclists, harassed and humiliated pedestrians and in some instances attempted to molest women even within their homes at the point of a gun. During curfew hours residents were ordered to put off the lights. Chapter 1 is about how a peaceful group of satyagrahis consisting of 300 Federal Party volunteers, were set upon mercilessly by a violent gang. 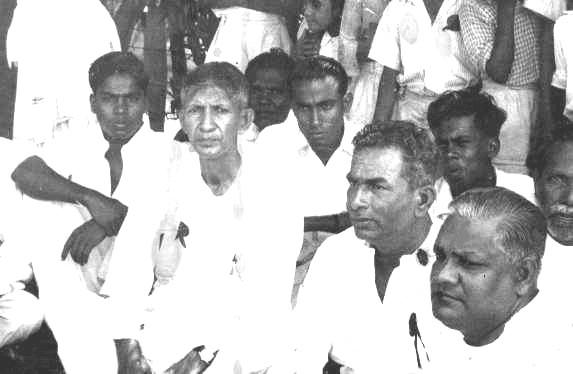 The protestors led by Mr. S J V Chelvanayagam and Tamil Members of Parliament were conducting a sit-in on Galle Face Green in 1956 when the Sinhala Only Bill was introduced in the Ceylon Parliament by Prime Minister SWRD Bandaranaike. Keep on writing, this is one place the SL government cannot shut out the lies and media. Write freely. We support truth and justice till the end. For generations to come, they seek blood we seek justice. For all. for a small `pearl harbor` bomb Japan got 2 blues of truth and justice? See them prosper- the psyche is different. If one has to die to be felicitated then I can wait. A lot of Tamils have forgotten about state terror unleashed against innocent Tamils long before violence became tool of young Tamils. No one can fault arms struggle of Tamil youth now, Srilankan state was terror from its birth. Cause for violence in Srilanka is state terror not otherways around. Armed resistance by the Tamils is very much justified, but the LTTTE should never have overstepped the legitimate scope of armed resistance. Until 86/87 the LTTE behaved like an ideal liberation organisation, and then in 86/87 the LTTE massacred over 500 TELO cadres. Those who surrendered and pledged mercy were massacred by the LTTE. A liberation organisation should never have behaved like this. Since the TELO massacre the LTTE has committed numerous heinous crimes and that’s why I am critical of the LTTE. I don’t understand why people like you and Usha find it difficult to understand this simple fact. Magazine prison during the che guvera uprising and the kutti mani gang slaughter. so you see she is the fly in the soup. NY Nathan you are saying all these things about the sri lankan army did you see them do all these things. What is the proof you have to say all this. If you have the proof why dont you go and show it at the UNHCR without making accusations. When you make statements like this one thing is certain that is that you have a psychological problem and I think you need treatment. did the sinhalese do anything to you personally that you make these statements and show so much anger against them. This is indeed a sad situation. Only God can help you. I may be a frog in a well but you seems like Microbe in a tea cup because Tamils once ruled part of the world and have trade relationships with Rome, Egypt, Greece, etc. Better study history and think about responding to me. We are asking our right to have our self rule,whether we make our area like Singapore or not, let us worry about that, Y u worry about that, worry about your CORRUPTED Sinhala politicians who even sell their daughters for money let alone the country. As per Singapore, Tamil + Chinese are 2 recognised languages and official language is English because of Tamils’ ability. Pathetic response from a BANKRUPT Sinhala racist run out of logical response. Past performance is no indicator of future performance ! Wonderful..!! but sadly all in the past. These things ebb and flow, and for people who hold your particular worldview (Tamil Great and Smart – Deserve to Lead The World, everyone else Dumb), it has certainly ebbed…. !!! Take courage. Perhaps one day you will have a not-dumb Tamil leader who will not lead you up the garden path to self-destruction and who will be smarter than the Stupid-Sinhalas who for the present, seem to have bested the Smart-Tamil Leader that you had !! please read my response to you again and see I did not write anything against Sinhala people as a race but wrote against the racist Srilankan politics, Military, etc. This is typical tactics by any BANKRUPT Sinhala racist by belittling a person who writes truth. I love Sinhala language, culture, tradition, art, etc having said that I cannot allow Sinhala racists walk all over our Great Tamil race. Sinhala racists are mentally retarded idiots need urgent medical attention not Tamil victims of Srilankan genocide. Usha, please stop this nonsense you write from abroad. I also live abroad like you quite comfortably. If this separate state and all this nonsense makes so much sense to you, then why are you howling from Canada? Where are your children, I will bet you any money if they are old enough they are flourishing in some university getting their degrees or diplomas and you appear to be having a lot of time on hand to live your dream through the suffering of the innocent Tamils in SL. If you care so much, then go there and do something. Otherwise, write something sensible or simply shut up and disappear. We Tamils are in this plight because of people like you who become huge card board waving keyboard warriors from a far away land. Let the people who live there live in peace. The bloody menace and murderer Rajapaksa and the hoodlum Prabaharan are no more. Don’t revive one of these idiots again to entertain your weekends. Usha, remember this poor fellow Thileepan though he thought was dying for the cause, actually died for Prabaharan’s propaganda. Prabaharan even took pictures with suicide bombers just before their mission as if it was a blessing for them to take a picture with him. Keep blowing your horn, your ealam will come through the blood of other people’s children. Send your children to fight, then talk. Otherwise keep quiet. The ground is very skeletal and the skin is bruising. Urgently needed on the ground is a lot of flesh of ”manpower”(ideas, knowledge, skills, etc) and a bit of moneypower. It’s almost too late.